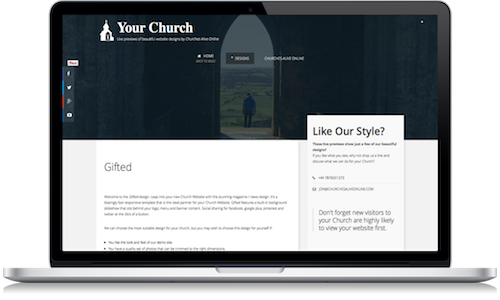 Choose from one of our designs, and give your new Church Website a test drive. 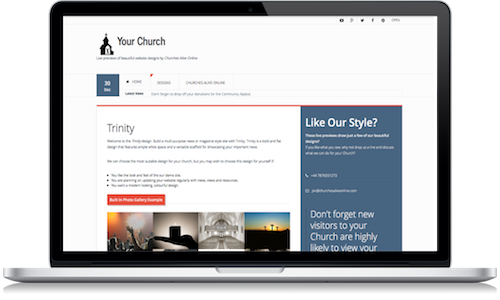 Churches Alive Online will create you a site with it's own distinctive look and feel, designed to reflect your message. Do you have something else in mind? Just ask. You design your site once and it resizes itself to fit any device based on screen size. 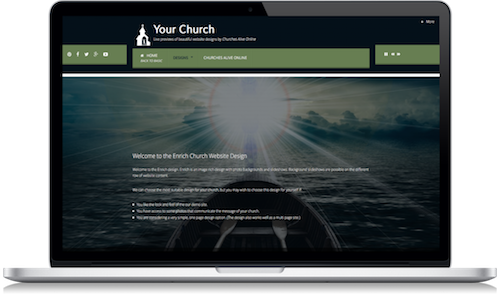 Whichever package you opt for, you can choose from any of our website design options. If you fancy a change later, there is a small charge to change from one design or colour scheme to another. Choose from one of our standard colour schemes, or let us match your new website to a colour scheme you are already using. 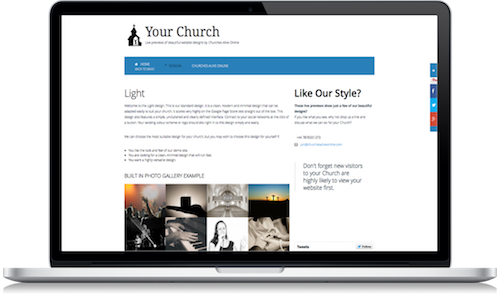 All of our designs have built in social media tools. What's more, they also respond to different devices to ensure people are aleays tempted to like, share and comment about your content. 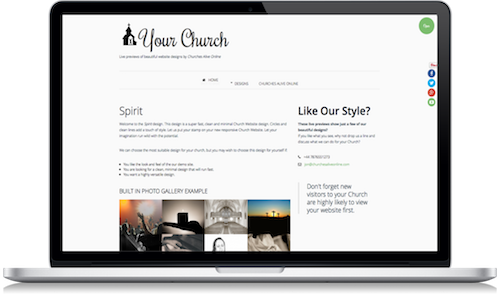 Take a peek at one of our designs and see the beautiful ways that your photos and video will appear. 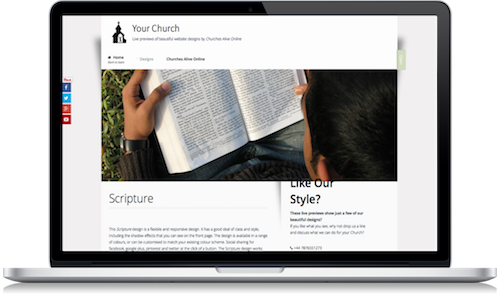 We also have a neat little audio player to play your sermons and messages.